PLOT: Known only as Agent 47, a mysterious hitman targets a corporation that plans to unlock the secret of his past to create an army of killers even more powerful than him. With help from a young woman, the elite assassin confronts revelations about his own origins in an epic battle with his deadliest foe. Having never played the video games that the Hitman franchise is based on, I cannot really judge the interpretation of the game world or the translation of the characters from the small to silver screen. Therefore this review is based purely on how the movie stands in its own right. …patched-together CGI-assisted action along with rudimentary and witless characterisation. Dougray Scott delivers his lines in a tone-deaf manner suggesting he’s never actually heard English spoken aloud before. Worse yet is Olyphant as Agent 47, the titular assassin; shaven-headed, he looks like a thumb on which someone has drawn a face. This film is like watching the actual game played by someone with slow reactions. That’s not much of a spectator sport. You would think then that IO Interactive, Daybreak Films, 20th Century Fox and everyone else involved in the production would think long and hard about rebooting the series. Unfortunately, after watching the film I don’t think there was much thought put in at all, especially to the script. Taking their cue from Terminator 2, we are first given the mis-direction that Agent 47 is out to kill the film’s heroine Katia and that Zachary Quinto is going to be a good guy. But Spock aside, we always know Quinto plays the bad guy so that it is all a bit pointless until the obvious switcheroo and everyone’s side is made know. Taking even more license from T2, Quinto has been injected with some kind of liquid metal that makes him a kind of T-1000 with the skin on, effectively rendering him invulnerable for the majority of the film and destroying any sense of real tension. We have a little trip to Berlin, where everyone decides to get arrested at the American Embassy (yes, I do mean ‘decides’ to get arrested). Whilst there the most idiotic Embassy interrogator thinks it is wise no only to bring the hitman’s gun into the interview room, but to actually load it for him too. The story then takes from Berlin to Singapore after a pathetically weak series of revelations (such as ‘he likes orchids’) pinpoint him hiding in plain sight down the road from the location of the evil Syndicate’s headquarters). We do get to see some some fantastic scenery as we meet the mysterious Litvenko in Singapore’s amazing botanical gardens. Litvenko of course is Katia’s father and it appears that her only part to play in the whole series of events is to lead both good and evil to his location. The final scenes in the Syndicate building could easily have been lifted directly from Resident Evil 5 (Retribution), which isn’t exactly high praise, so when the credits role and treat us to a final scene where Quinto’s character turns out not to be dead (surprising no-one), but instead is sporting a new albino look, we are left with the inevitable realisation that a sequel will be with us in the not too distant future. 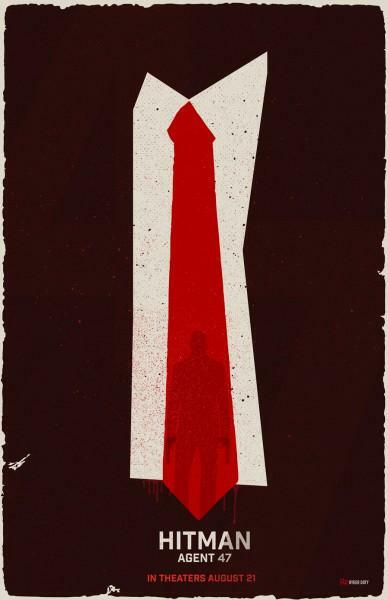 The Hitman premise isn’t a bad one, but instead of trying to copy Bourne, Terminator and every other action hero film, I would much prefer the next film to focus on the origins of Agent 47. Show us how he developed his skills and some of the jobs he has taken prior to wanting to destroy the programme. Unfortunately, Quinto’s resurrection puts paid to that and we are destined for another derivative and soulless action flick that whilst not being the worst 90 minutes of your life, will not stay with you any longer than an episode of Emmerdale. 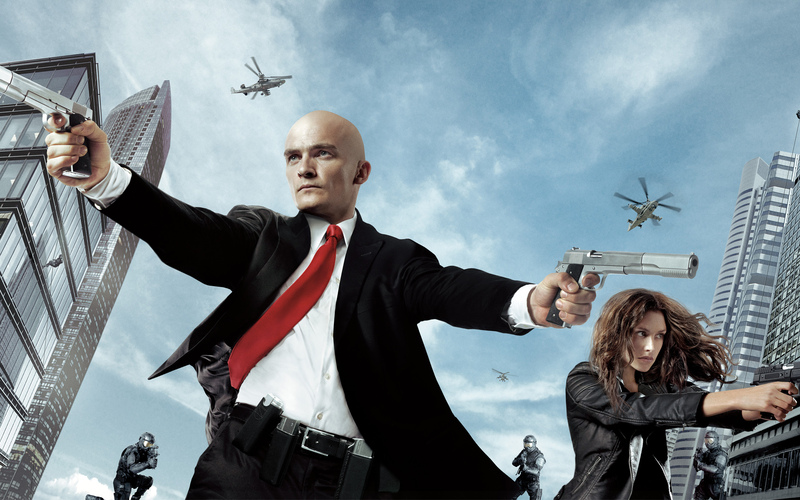 At it’s best Hitman Agent 47 is a 90 minute collection of reasonably choreographed action sequences. At worst it is a poor clone of every action cliche you have seen before.